President Barack Obama has acted so unlawfully that he 'probably' wouldn't survive an impeachment vote in the House of Representatives, Republican Rep. Lou Barletta told a radio host on Monday. 'He’s just absolutely ignoring the Constitution, and ignoring the laws and ignoring the checks and balances,' the Pennsylvania lawmaker told News Radio 910 WSBA personality Gary Sutton yesterday. 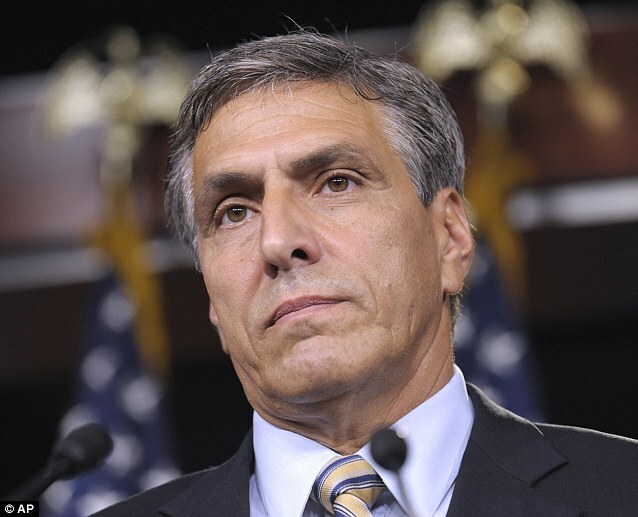 'I don't think so,' the Pennsylvania radio host can be heard telling Barletta in audio of their conversation captured by Buzzfeed's Andrew Kaczyinski. 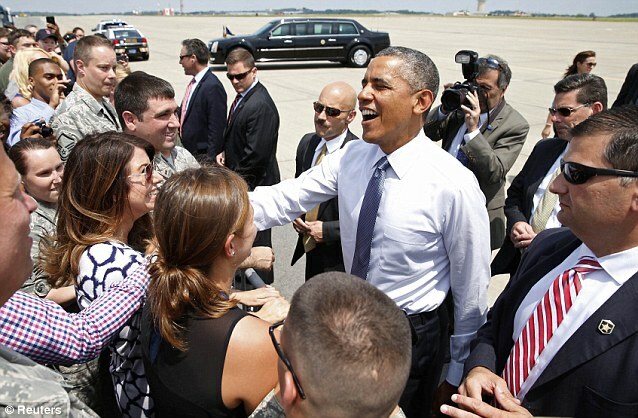 'Well we have a president that has taken this to a new level,' Barletta said of Obama's actions before explaining how he thinks impeachment proceeding would hypothetically play out in the House. Sams told the Wilkes-Barre Times Leader in an email. 'Republicans in the House are clearly committed to playing politics and relying on outrageous rhetoric instead of doing the job they were elected to do – standing up for the interests of the American people,' he wrote. In the same article Barletta’s communications director, Tim Murtaugh, is quoted as saying his boss was not 'advocating or proposing' that the House impeach Obama. The congressman was merely relating one proposed way Congress could stop the president's 'consistent disregard for the law,' Murtaugh said. 'There’s not the will nationally to remove the president, so would it be wise to pursue that? Or would it be harmful to the country? Surely the latter,' Murtaugh said. In the radio interview on News Radio 910 WSBA, Barletta also cast aspersions on politicians who are perceived as abandoning their constituents. The embarrassing blow former House Majority Leader and Virginia Congressman Eric Cantor suffered last week when he lost his primary election would be the fate of other elected leaders across the country if they don't shape up, Barletta predicted. 'If they don't feel that you're standing up for them, then they're gonna throw you out, and they're gonna throw somebody else in,' Barletta said. Cantor became the first sitting House Majority Leader to get kicked out of office since the position was created when he lost the Republican primary for his congressional seat a week ago today to a political novice he trounced in spending. Conservatives in Cantor's state denounced the seven-term representative after the election as being a power-hungry jet setter who had lost touch with the needs of his district. 'There's a big message here that people in Washington better pay close attention to,' Barletta said.